This BG ligature and cap set fits most ebonite alto sax mouthpieces. 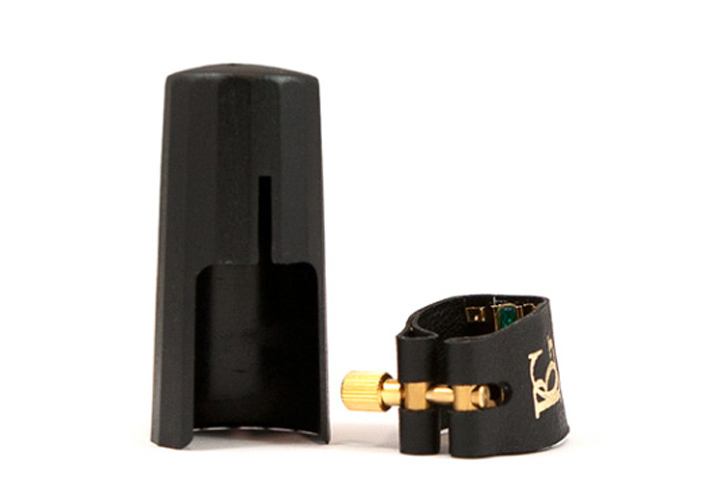 This L12SR Super Revelation ligature has a leather exterior with a gold plated touch plate for a brilliant compact sound with easy staccato. The BG range is made in Europe and has been the choice of amateurs and professionals for many years. Pioneering the higher quality ligature market the BG range offers players a range of options for response and timbre. The gold plated touch plate on the Super Revelation range ensures the reed has maximum resonance and as such offers a brighter sound than the standard L12 range.